LET'S SINK THE Karaoke Pirate SHIPS! and a printable songbook to go with it! I received notification today from one of my trusted sources about this offer with 15 sales over the last six months here in Australia! It may be that these deals were bought to use privately (although I strongly doubt it)— more likely some newbie hosts getting set up or as extra illegal rig(s) for established KJs already operating in the industry. 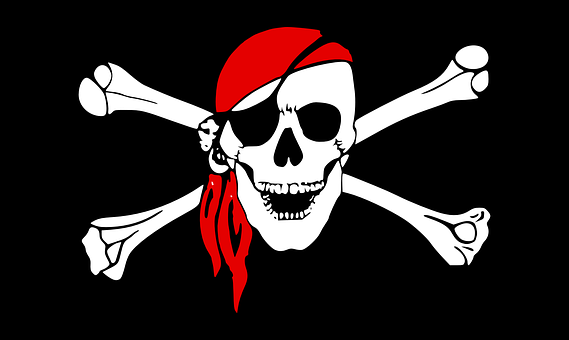 I also heard through my karaoke grapevine (I really do have eyes and ears everywhere) that another QLD venue fell victim to a pirate this week! Rest assured— I am doing everything I possibly can to help compliant KJs (as promised). I have sent an email to the venue owner warning of the potential risks. Email: Is Karaoke Putting Your Venue at Risk Financially? *And of course, my good friends at Apra have also been informed. Seriously it's about time we make karaoke pirates walk the plank! Or better still— let’s totally SINK each damn ship once and for all!